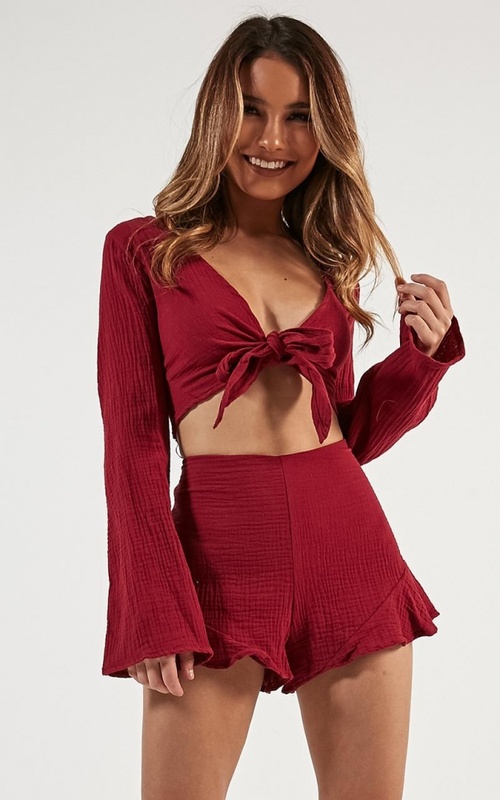 You'll love the Southbound two piece set in wine! 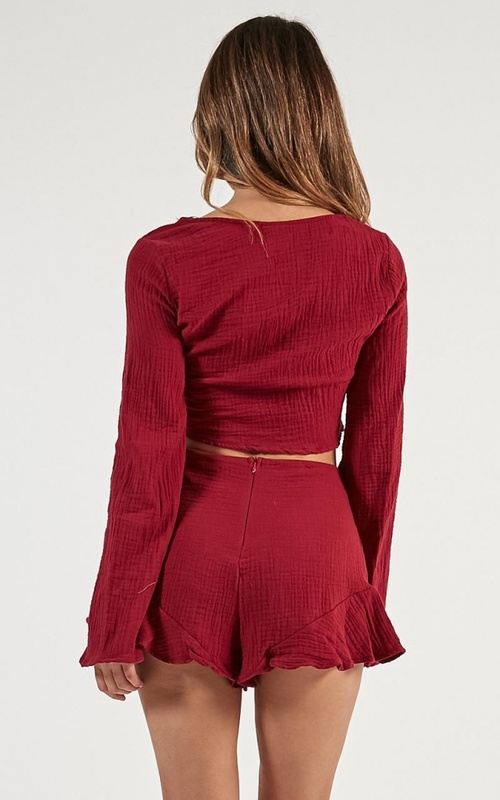 This gorgeous two piece shorts set features a crinkled pleat look and a mini length. This is the perfect two piece set for any occasion! Dress this bad boy up with some strappy heels or dress down with some gorgeous sandals for a finishing touch.